Andrew Gallacher and Jane Nicol capped a memorable year with victory on the Dayinsure Wales Rally GB National rally at the weekend. 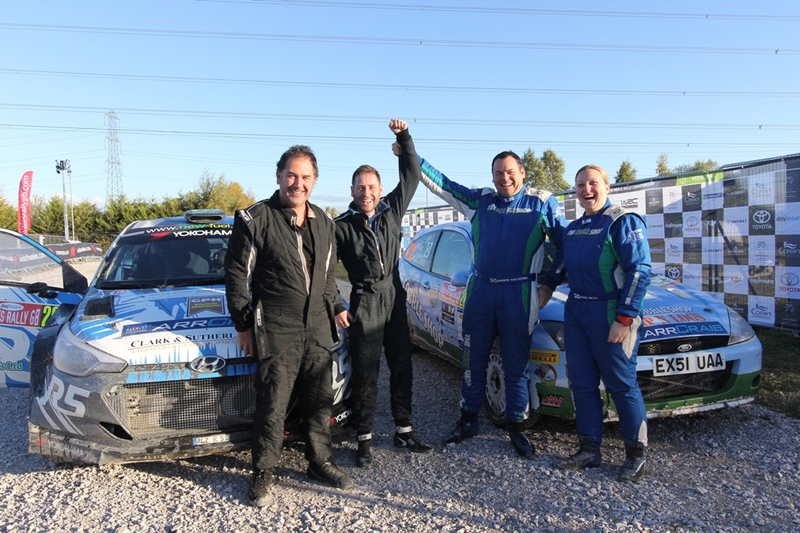 A month after clinching the Scottish Rally Championship national crown, they topped the time sheets in Wales. Although Gallacher won by over a minute, he was never able to relax. The Ford Focus WRC driver was fastest on 4 of the 10 Special Stages. 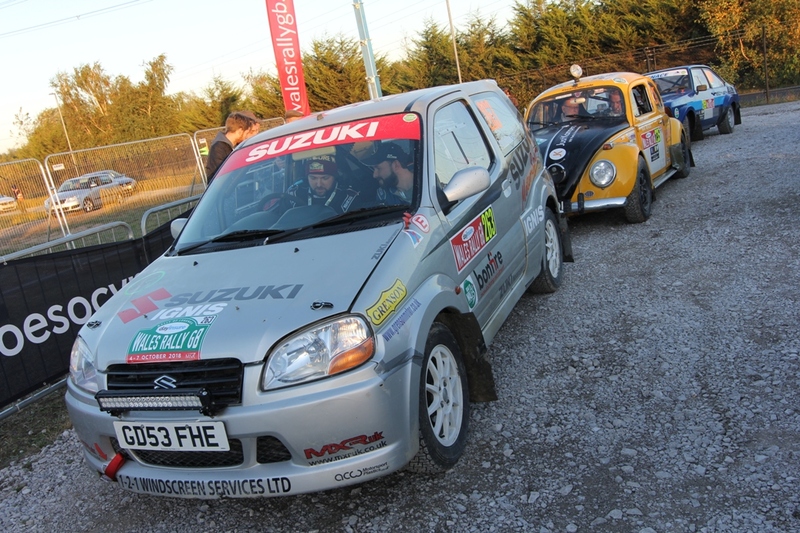 Last year’s winner, Tom Preston set fastest time on the opening stage of the event on Friday then crashed out on the second test. 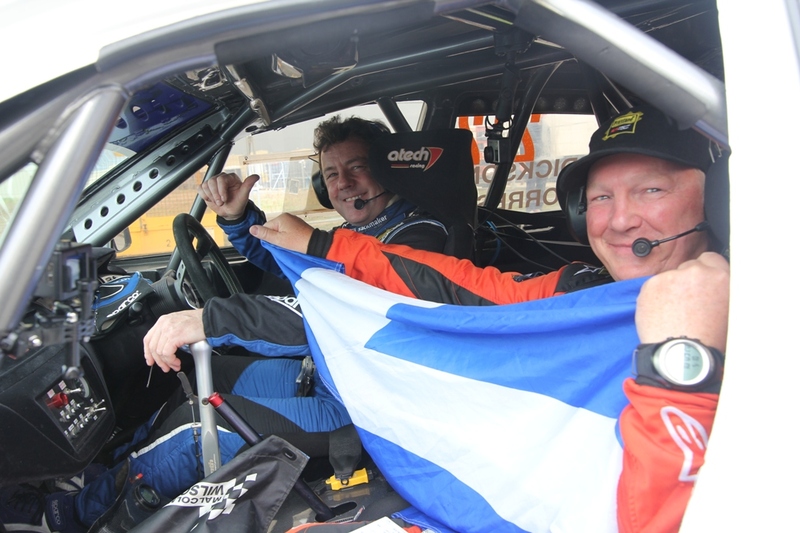 Gallacher assumed the lead of the National Rally at that point and was never headed although he was harried all the way by second placed John Wink and John Forrest in their Hyundai i20 R5 and the Subaru Impreza WRC of Rodger Duckworth and Mark Broomfield. On only his second season with the Hyundai, Wink’s runner-up position was his best ever rally result: “I struggled for grip yesterday (Friday) in the wet and muddy stages,” said Wink, “but it was very fast today (Saturday) and it suited me and the car much better.” Like the rally winner he held on to second place all the way from the second stage to the final. Young Sam Bilham from Bingley in Yorkshire scored a sensational result with 9th place overall, 1st two wheel drive car home and first in class with his Ford Fiesta R2. Celebrating his 22nd birthday on Friday, Bilham arrived in the service park to find his car festooned with balloons and under strict orders from his team not to remove them until after he had left the start ramp! James Gibb and Charley Sayer-Payne were mighty lucky. When the hub broke on the Lancer they thought they were out, but made the re-start on Saturday morning and finished 14th. Carl and Rob Tuer were 23rd in the Suzuki after their troubles yesterday when they spun the back end of the MG over a drop and got stuck, Ernie Lee and Ian Shiells were 28th in the BMW, and but for a puncture and an ‘off’ avoiding a stricken car Gordon Alexander and Ian Clark would have done better than 32nd in their Vauxhall Nova. Sadly, Alan Dickson and Martin Forrest didn’t make it. They were heading for a top six finish when they cowped the Lancer in Gartheiniog and Niall Cowan Jnr and Thomas Bruce were forced out at Sweet Lamb with two broken driveshafts in the MG.